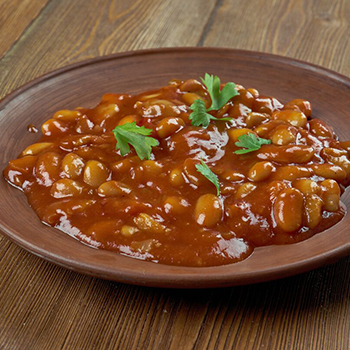 Place beans in a medium-size kettle, cover with water and soak for 2 hours. Drain beans. Add enough fresh water to cover. Cover kettle, bring to a boil, then simmer until beans are tender. Mix in remaining ingredients. Then place entire contents of kettle in oven proof bean pot with lid. Bake in bean pot at 350°F for approximately 3 hours. (Stir occasionally and add water as needed).